For all of the time we spend shouting out or clients, preaching the importance of intentional design, and generally riling each other up about good local architecture...sometimes, it's nice to just sit back and enjoy a space done right. And this is where Home, Made comes in. We started the series as yet another way to bring you a beautiful space. 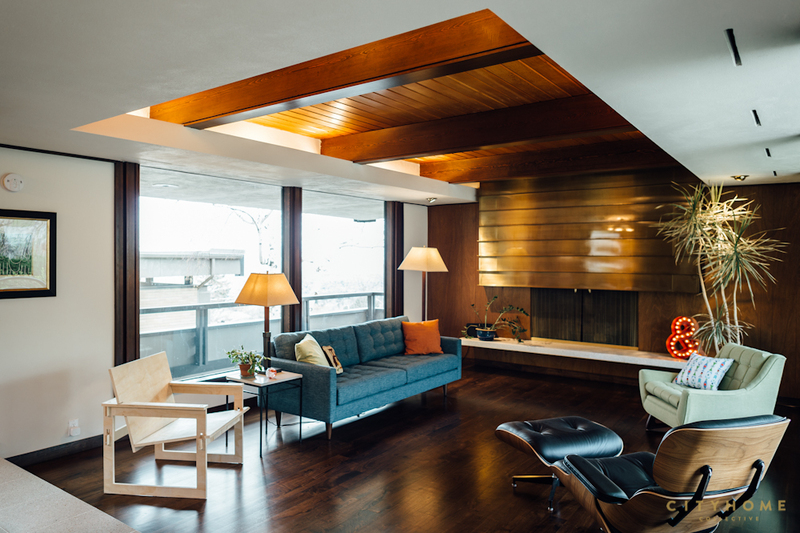 The focus is on the design and the folks that made it their home just so. These people might be clients, but they might not. These homes might be for sale, but they might not. In short, the photos in this series will simply be a stunning space that, somehow or another, we got wind of. We came, we saw, we fell in love. 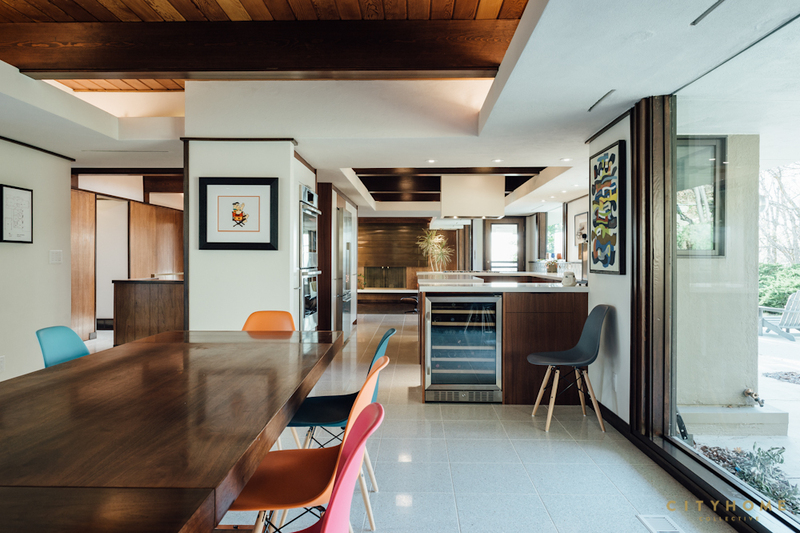 The particular home is an incredibly-preserved mid-century space in Foothill. Tom and Karl snapped it up from the original owners' estate and took to work in short order. 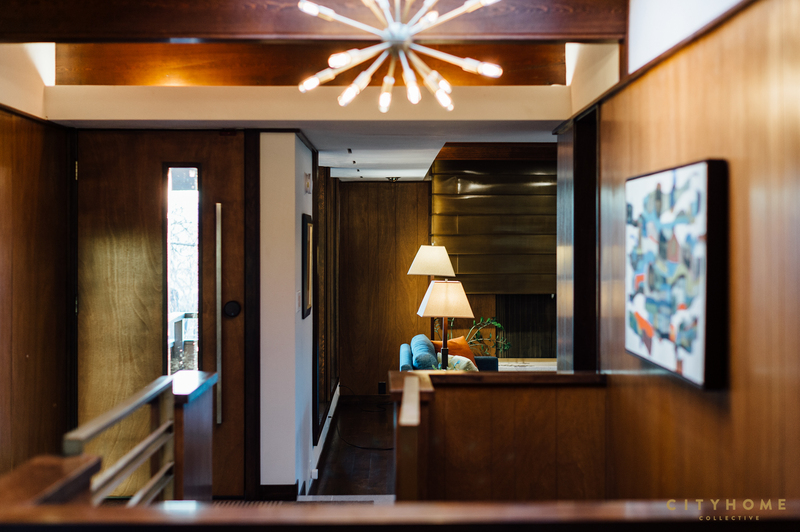 The home, designed and built in1959 by architect Joseph H. Young (great grandson of Brigham), is nestled into a quiet nook of our east bench, and--being no strangers to a good remodel--the couple knew they could make the space something special, indeed. 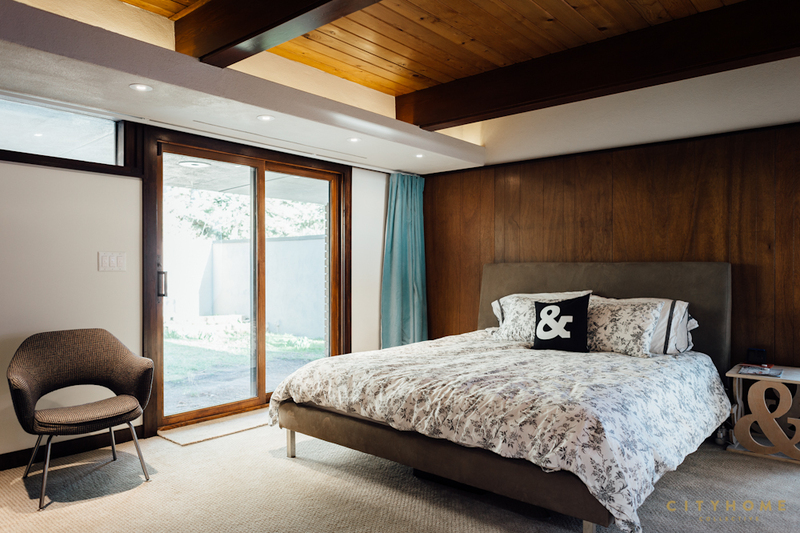 The post-and-beam construction includes floor-to-ceiling windows in communal areas, clerestory windows in the bedrooms and private spaces, and delicious details in every room. The home was clearly designed with indoor/outdoor entertaining in mind, so its surrounded by multiple terraced gardens and courtyards. Yes, the home was pretty remarkable when they started, but by the time they dust had settled, Tom and Karl had something awe-inspiring. 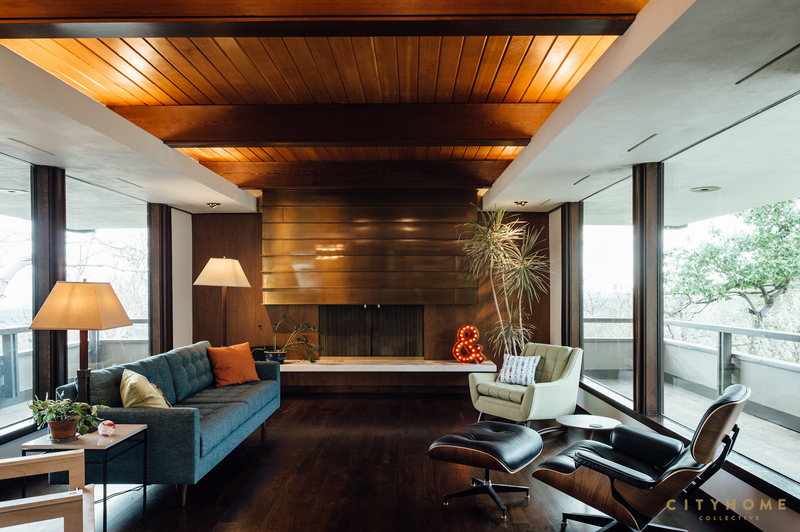 they brought the home to modern standards, while keeping the architectural heritage in tact. "I would have to say the kitchen. I’m definitely a foodie, and Tom and I both do a lot of cooking and entertaining. And Tom’s a little famous among our friends for his baking too. 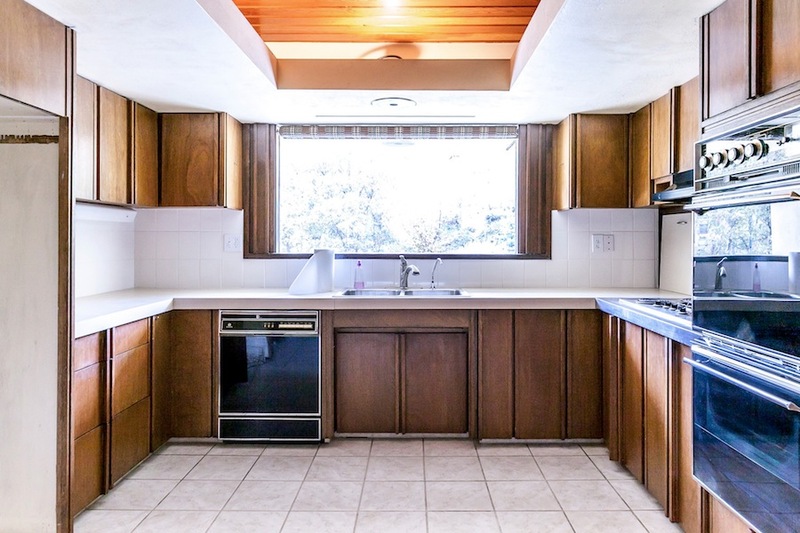 We put a LOT of thought into the design and layout of the kitchen--it’s a very functional kitchen, including some special features for people who bake a lot. I’ve done enough kitchen updates before this to have made every mistake in the book, and we avoided all of them with this one. 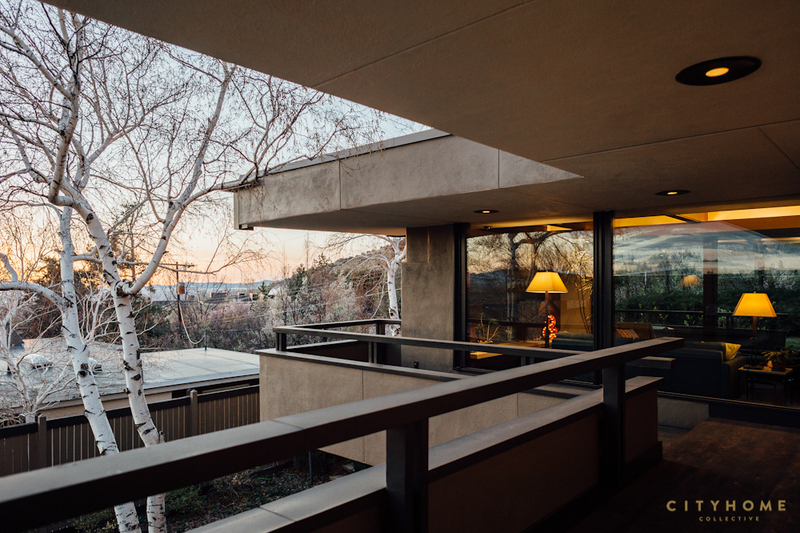 Plus, standing at the stove or the sink gives you the best views in the house--especially at sunset when you can see the sun reflecting off the Great Salt Lake. We’ve had three cooks busy in the kitchen at the same time, and it still works. And the white quartz countertops make it easy to make sure the counters are clean because everything is visible (which I really like). 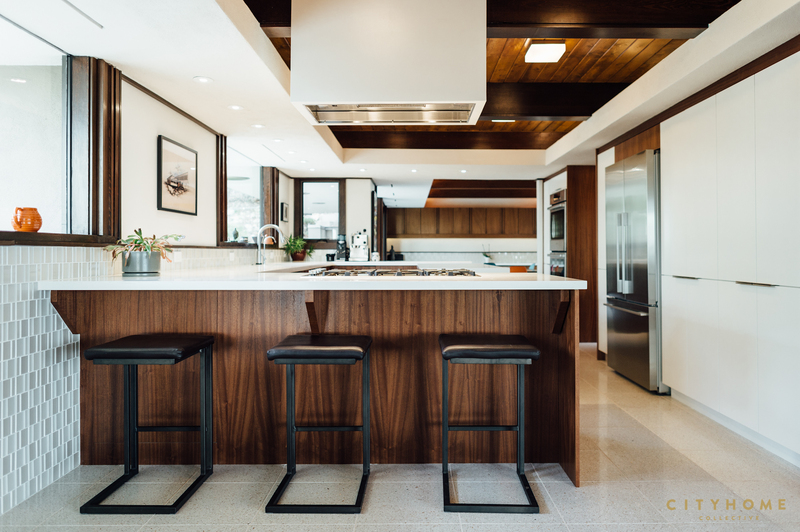 The lack of upper cabinets on the outside wall really help it feel open and airy, and keep the sight lines open." "As soon as we saw the house it was obvious it was designed by an architect who put a lot of thought into the design. 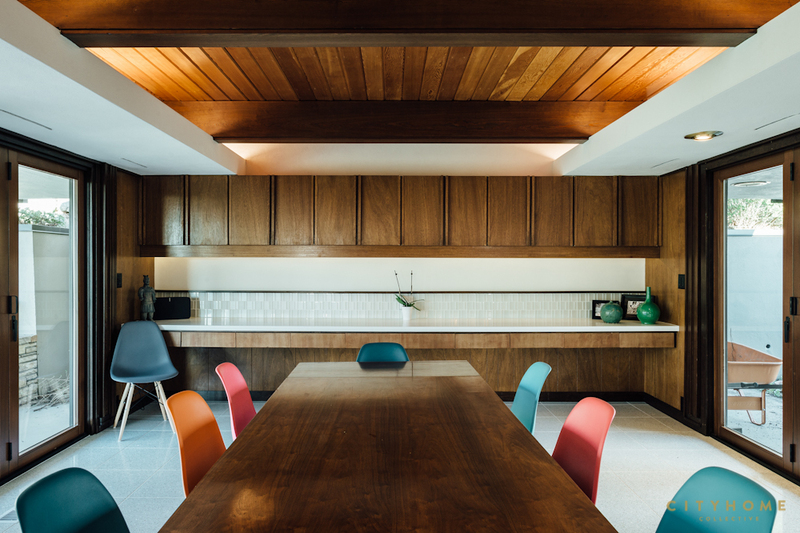 In some ways it made it easier to update because it wasn’t a truly blank slate--you could immediately discard design choices that would fight the architecture of the house. 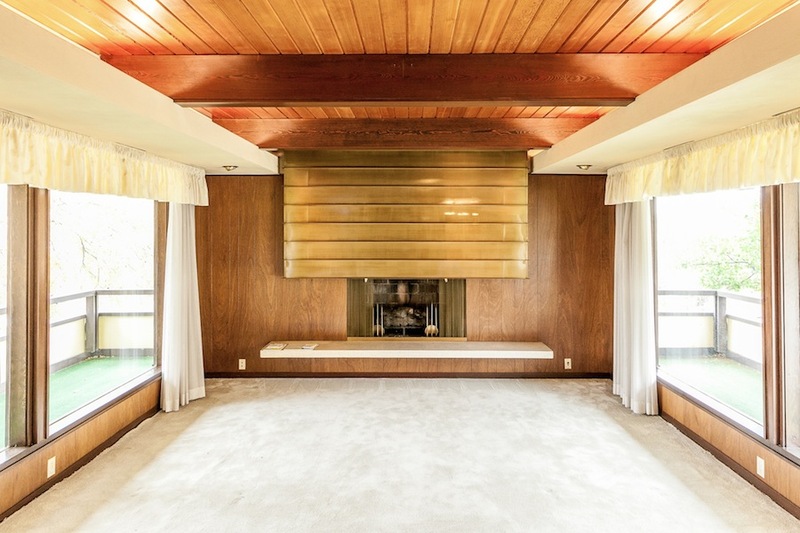 The house is often described as mid-century modern, but it’s really more like 1/3 Frank Lloyd Wright transitioning into 2/3 mid-century modern. 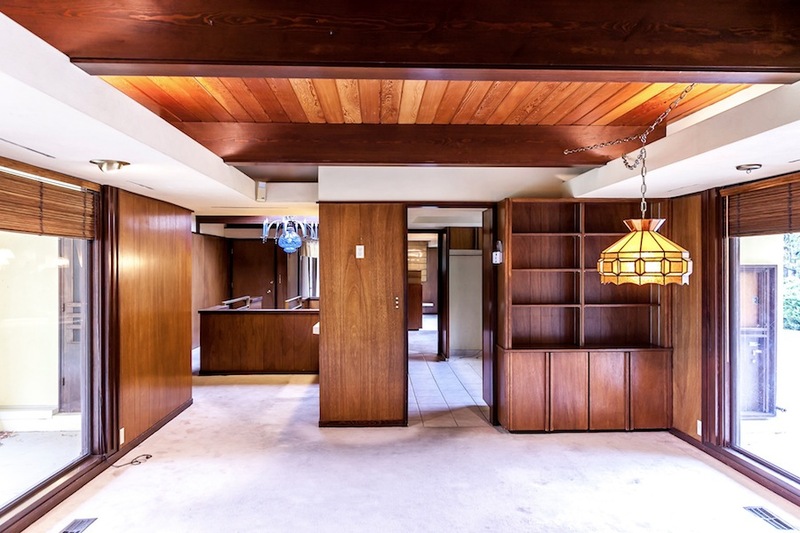 Especially when you see the original plans (which the prior owners were kind enough to share with us), you really see the Frank Lloyd Wright influence. The original design of the house is such a statement it would have been criminal to fight it or try to design around it. Besides, that’s what drew us to the house in the first place." "I grew up in an 1840’s home in the midwest--an old southern plantation home--surrounded by early American antiques. My mom was obsessed with Shaker furniture. Probably as a rebellion, I always wanted to live in a hyper-modern house. But every city I’ve lived in, the neighborhood I wanted to be in was all older homes, and…well…you have to respect the bones of a house when you live in it. So, I’ve always ended up in older homes before this. 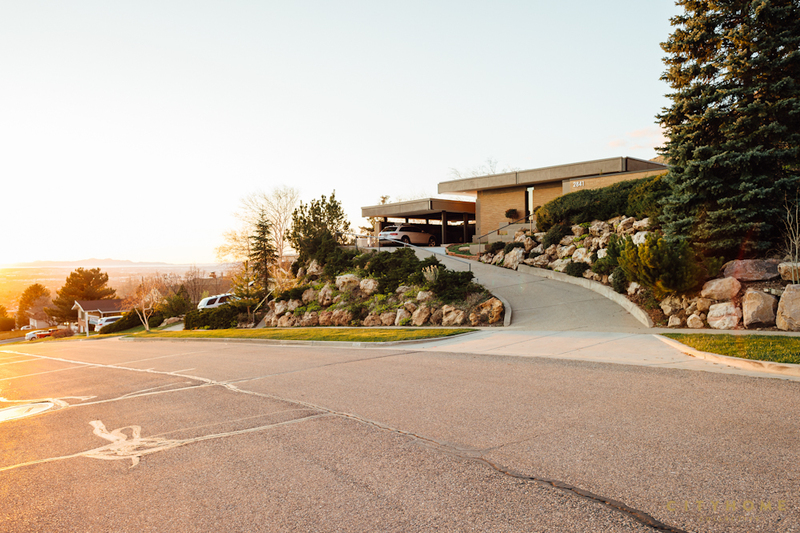 Salt Lake City was the first city we’ve moved to where there were lots of really cool mid-century homes in the neighborhoods we considered, so that style was a must for our house hunting. Our awesome cityhome agent Mark Seely showed us a bunch of good options, but as soon as we saw this one, we immediately fell in love with it. Surprisingly, it’s not hyper-modern at all. 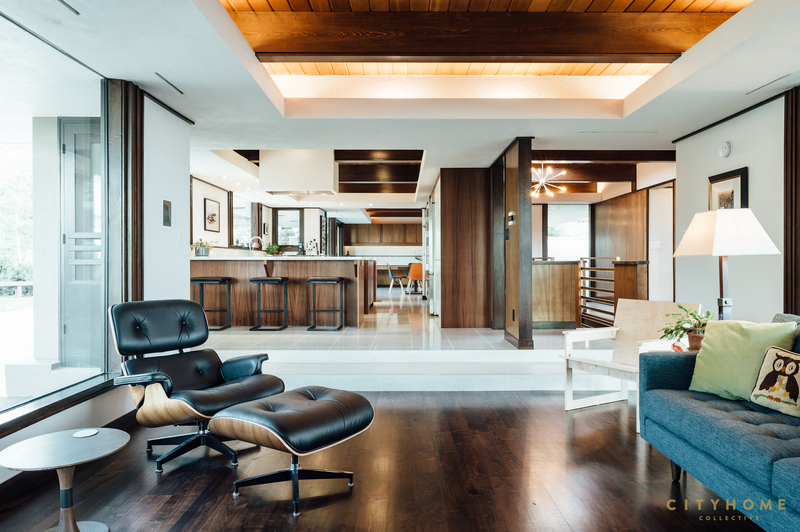 All of the wood in the house (three distinct shades, all matched and repeated exactly in the update) gives it a really warm comfortable feeling, yet you still get the sense of light and openness that comes from the mid-century influence and the floor-to-ceiling windows." 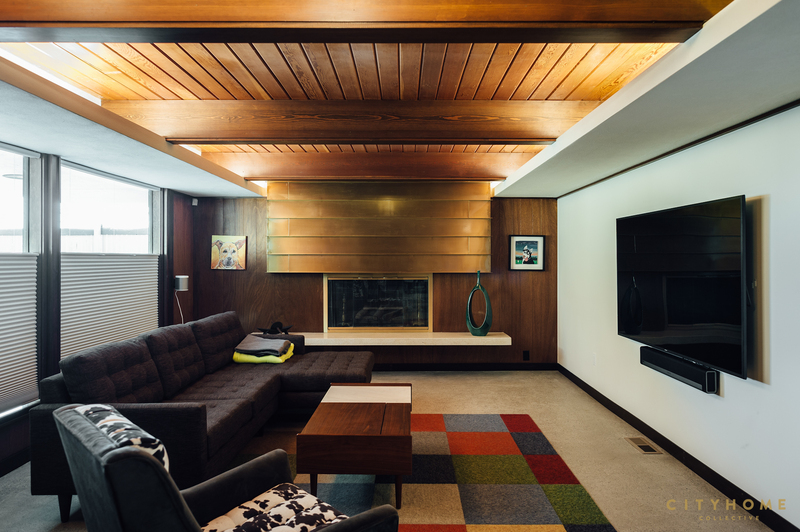 "When we bought the house, literally every vertical surface in the house was covered in wood paneling. It was beautiful, but waaaay too dark. Most people assumed we would just rip it all out, but we left one or two accent walls of it in every room and put white drywall up on the other walls. It ended up keeping the warmth of the wood, but made the house feel a lot brighter. 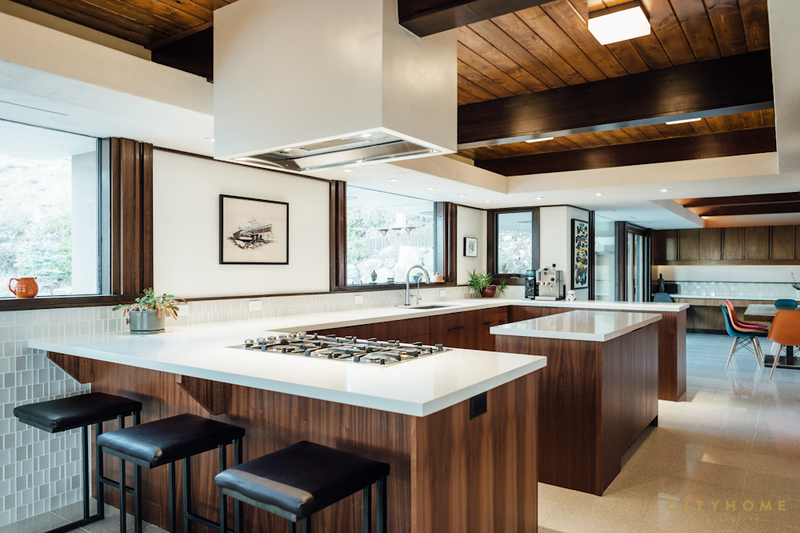 Similar with the ceilings--people thought painting the wood white would make everything brighter, but removing 2/3 of the paneling and opening up the kitchen space solved the darkness issue. That and we put full view glass in several of the previously solid exterior doors which made a surprisingly big difference. The other obvious keeper was the stairwell at the central axis of the home. 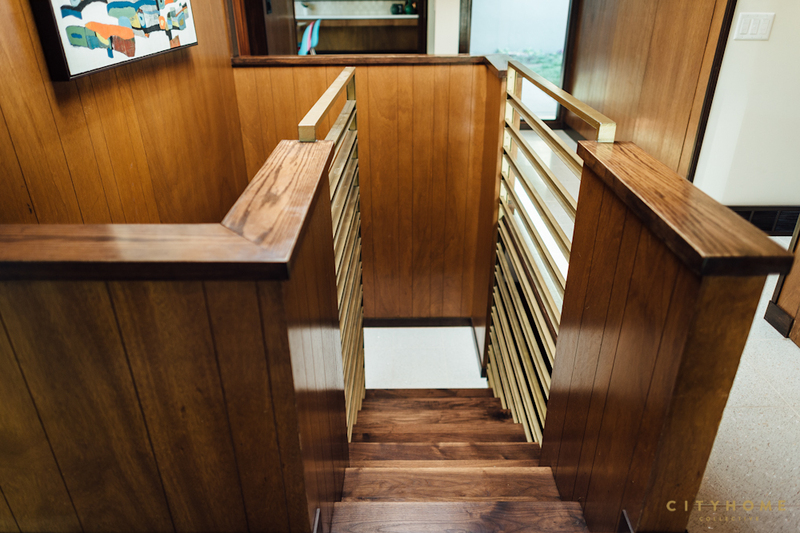 In that space, thanks to the large skylight, we were able to keep ALL of the wood paneling, and the original railing design is so cool we didn’t change a thing. The only other note is we are glad we worked with David Papanikolas of Alta Construction to help us with the design and materials choices before any construction started. Doing almost all of that work before hiring a GC I think saved us some time and avoided budget over-runs. And we feel extremely fortunate to have found Forest Seaman of DFS Construction as our General Contractor (thank you, cityhome, for the introduction!) Not many people can go through a remodel as large as this one and end up good friends with their GC, but we did. Forest and his team did an amazing job with the craftsmanship (I’m still in awe of the tile work and woodwork they did…and there is a lot of both in the house), and Forest helped us come up with some great creative “extras” during the construction phase. Really, really happy with both the process and the outcome."